$ sudo su -c "
Ubuntu 16.04 disables deb-src by default. You need to enable deb-src for downloading package source code. 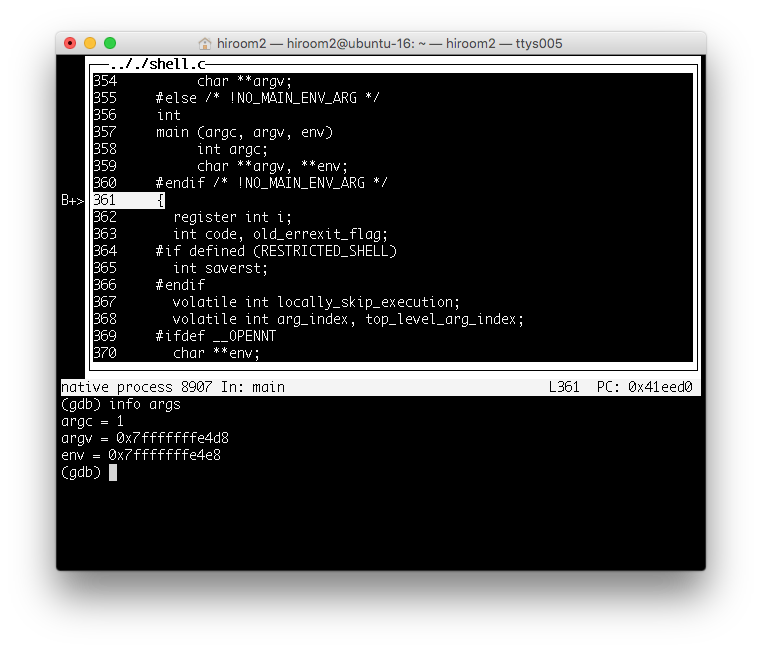 Install gdb64 for 64bit system or gdb for 32bit system. Breakpoint 1 at 0x41eed0: file .././shell.c, line 361.